Today's spiritual warefare is just as powerful as it was during the time of Jesus' ministry! As the Holy Spirit withdraws His Restraining Power as Paul said He would do [2 Thess 2], the Enemy of Our Souls is rushing in to carry out spiritual warfare against God's Elect. But, too few Christians know how to battle against the spirit world. 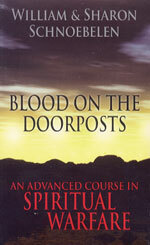 Bill Schnoebelen, former Witch, Freemason, and Mormon, teaches you step by step how to wage spiritual warfare using the Blood of Jesus Christ as your power. This manual is for those prayer warriors, pastors, Christian leaders and anyone having trouble getting "Victory In Jesus" in these Last Days! 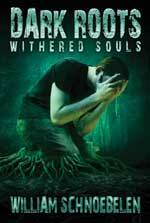 CE-Bill-DVD-307-Dark Roots, Withered Souls DVD - by Bill Schnoebelen This item is on sale. Bill's extraordinary testimony of his deliverance from the darkness of Witchcraft into the glorious light of Jesus Christ! Also teaches elementary Spiritual Warfare, and how to witness to those people still practicing Witchcraft and other forms of Satanism. Defending your family is of paramount concern in this book. Truly, you will understand the spiritual truth that, for all his mighty power, Lucifer is a defeated foe! 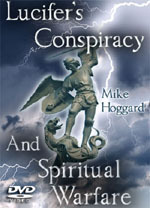 PRM-46-DVD-Lucifer's Conspiracy and Spiritual Warfare - DVD by Pastor Hoggard This item is on sale. Spiritual Nature of Conspiracies are working feverishly in the world today, driving all mankind into the New World Order (Isaiah 14:12-14). 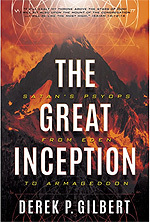 Hoggard reveals how evil spirits are leading wicked men to create events which will establish Antichrist on the world scene in such a way as to create the Kingdom of Antichrist. Do all conspiracy theories have an unseen connection?  Can seemingly random events lead to ONE future outcome? Pastor Hoggard reveals how the spirit realm is pushing people, governments, institutions and churches into establishing the New World Order to usher in the reign of Anti-Christ! These poor world leaders are forced to create a plan which fulfills God's Prophecies precisely, even thuough they hate him exceedingly . Hoggard further demonstrates the sacred occult numbers by which the Satanic New World Order is being established, in current news events -- 11, 22, 33, 77, 99. INCREDIBLE! CE-Combo-PRM-11-Spiritual Warfare Combination Offer - by Pastor Hoggard - 2 DVD Set, Save $15 This item is on sale. "Where Dragons Live" DVD reveals through Revelation 12, Jeremiah, Isaiah and Malachi how the demonic host can wreak severe spiritual damage on you and your family. Are you SURE you are saved? Are you SURE your loved ones are saved? Pastor Hoggard gives you the answer from Revelation 1:4! You will be so greatly encouraged by this revelation He poses the question of how we should see the Holy Spirit manifesting himself in our lives as he goes through each of the seven spirits and what they mean. Some say these should be manifested in signs and wonders but Pastor Hoggard shows us the Biblical definition of these Seven Spirits of how they should be seen in a believer's life. He also shows how the spirit of Antichrist would manifest itself as the OPPOSITE of each of the seven spirits through lying spirits who seek to destroy lives. You will learn how to discern the manifestation of the Holy Spirit or the spirit of Antichrist in a persons life.